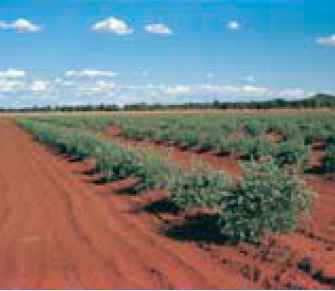 Much of the inland cereal growing area of Australia is well suited to jojoba production. Varieties that are well suited to the climate of these areas have been selected, but other factors such as soil type and rainfall must also be considered. Jojoba requires soils that have good internal drainage and are not subject to flooding. Apart from pH, the chemical properties are less critical, as fertilisers can be used. Soils with a pH of less than 5.0 are generally not suitable for jojoba because of aluminium toxicity problems. Aspect is generally not important on land with an altitude of less than 350 m, but for higher areas aspect needs to be considered to reduce the risk of late and severe frosts that can cause damage at flowering. Jojoba is planted as hedgerows often on low banks to facilitate weed control and harvest. 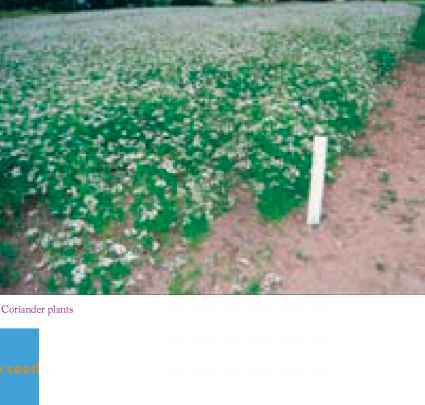 It can be planted on land with slopes of up to 3% provided the banks are contoured. Jojoba should not be grown in areas receiving less than 450 mm rainfall annually unless supplemental irrigation is available or planting density is reduced from the nominal density range of 1,000 to 1,250/ha. In areas where rainfall exceeds 600 mm per annum the threat of fungal attack on leaves during wet winters increases dramatically.